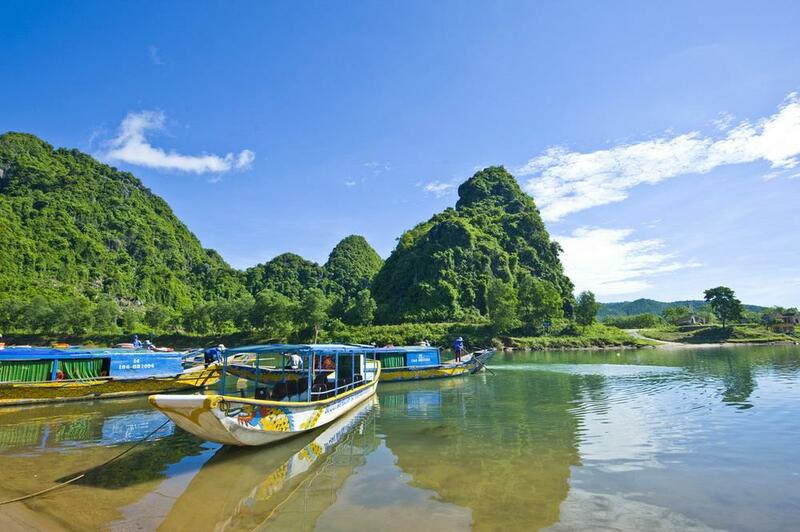 Located in Bo Trach and Minh Hoa Districts of Central Quang Binh Province, Phong Nha is such a beautiful landscape that you may have to hold your breath on contemplating. Many tourists ever uttered: "Wow!Heaven!" Since the scenery is so much romantic and marvellous of Nature here. 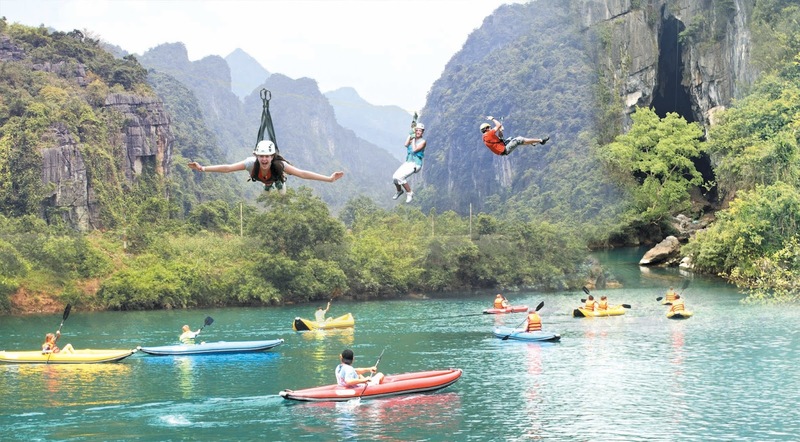 It can be said that the Nature has awarded Vietnam a fabulous wonder with grandiose green tropical jungles, nice and mysterious caves and grottoes, and the Asia's oldest limestone mountains,... That is Phong Nha-Ke Bang National Park. This is truly a great place you should come to visit once in lifetime. 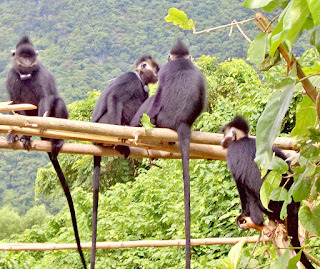 About 500km south of the nation's capital, Hanoi. 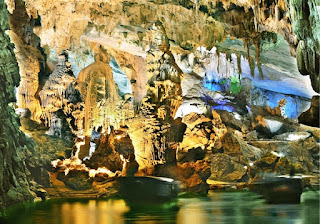 Phong Nha- Ke Bang National Park was created to protect one of the world's two largest karst regions with around 300 caves and grottoes, and the ecosystem of limestone forest of the Annamite Range. 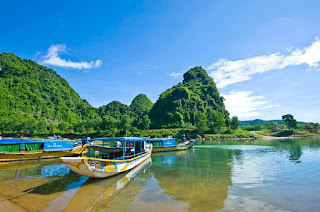 This plateau is probably one of the finest and most distinctive examples of a complex karst landform in Southeast Asia. 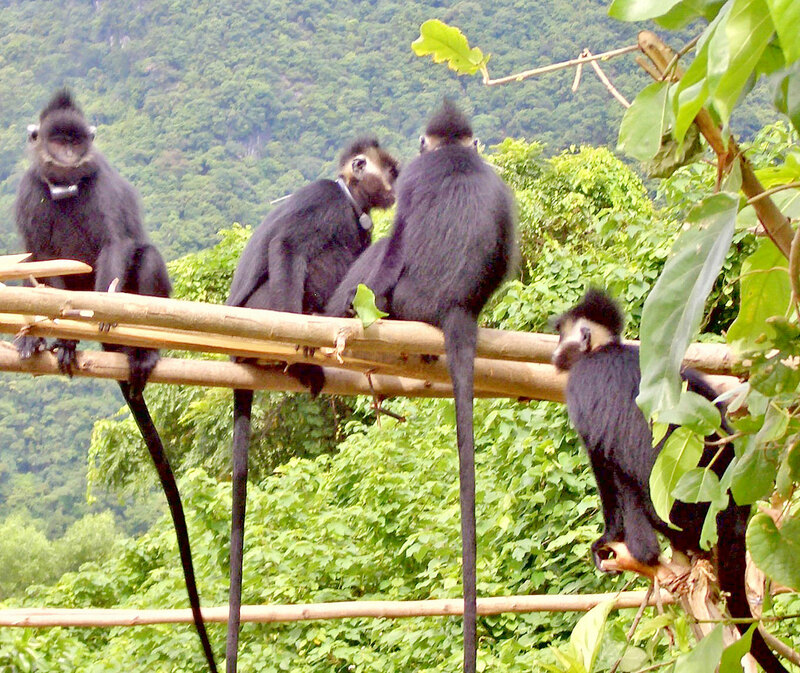 About climate, like the North-central (or Bac Trung Bo) in general and Quang Binh Province in particular, the climate in this national park is tropical, hot, and humid.The typical tropical climate has helped build up a pure atmosphere of the green ecological environment, ideal for any visitor. 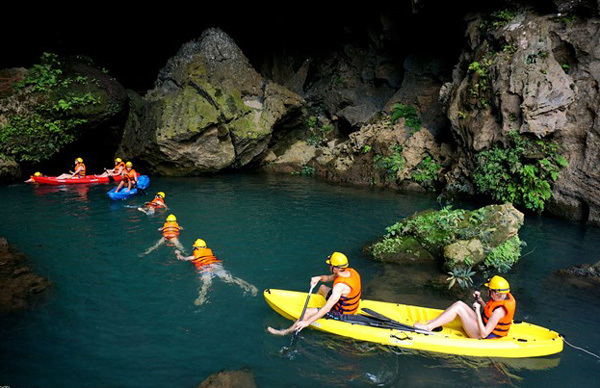 Thanks to its outstanding geological, geomorphical, and geographical values, Phong Nha-Ke Bang National Park is recognized to be the World Heritage Site by UNESCO in 2003. People now flock to this National Park for contemplating the UNESCO-recognized world natural beauty, and also for directly witnessing the fabulous rock formations inside the caves. It is certain that when you goes on a bout around this beautifully miraculous zone, you may be surprised and feel that you were lost in somewhere in the Heaven where you does not want to leave at all! So now let’s take a round trip to try this fabulous feeling! Tag: Discover Phong Nha-Ke Bang Tours, Phong Nha-Ke Bang National Park – A Fabulous Heaven Land In Vietnam, Visit Phong Nha Cave - One of the most beautiful caves in Vietnam. Cen tral Vietnam Tours.